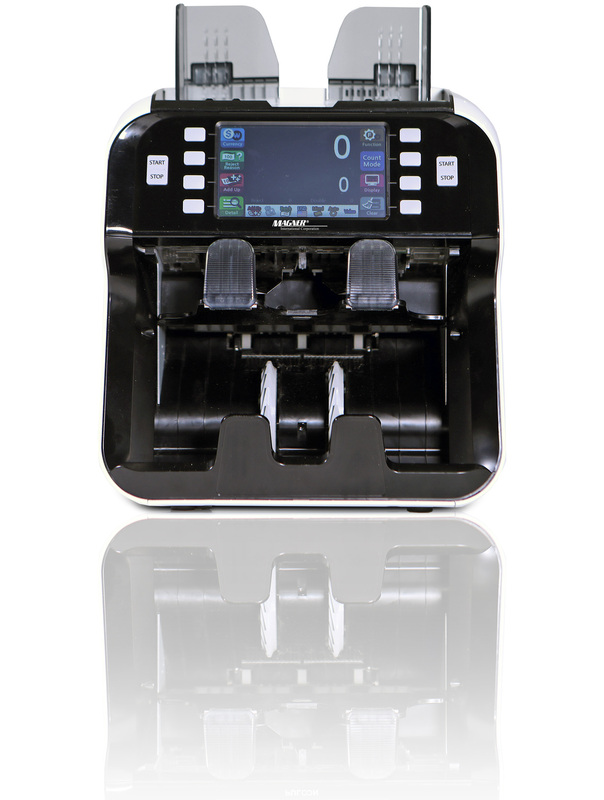 The NEW Magner 155V is a compact, user friendly 1.5 pocket banknote sorter. The machine utilizes a modern 5” touch-screen LCD display and high speed value counting, as well as some of the most trusted methods of counterfeit detection on the market. 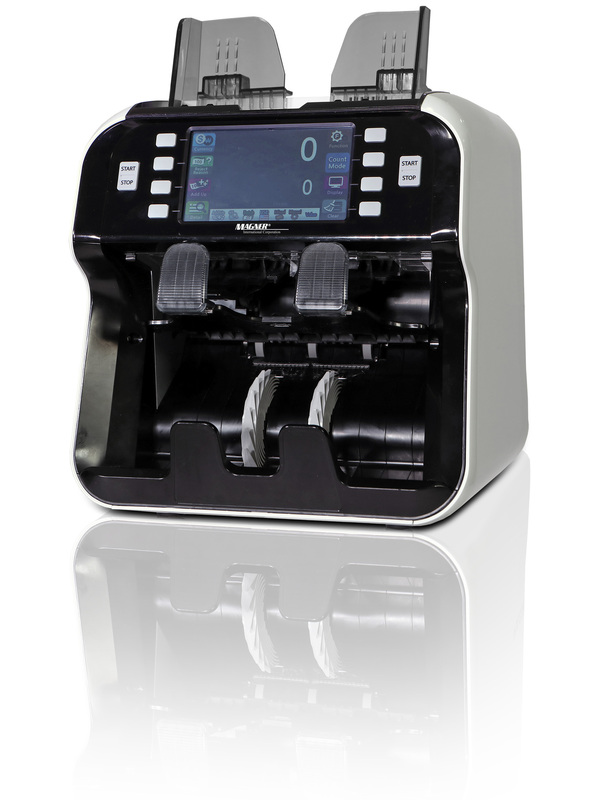 The Magner 155V can also accept multi-currency as well as recognize banknote serial numbers at 800 notes per minute. The modern and space efficient design, along with a wide range of applications, deliver a versatile, affordable and reliable currency counter. Counterfeit Detection: CIS (Contact Image Sensors), UV (Ultraviolet), MG (Magnetic), IR (Infrared), and US (Ultrasonic).